1090 - 2150 Sq. Ft. 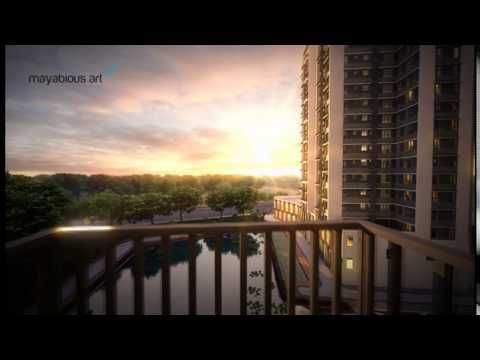 If you are thinking of a lavish gated community with spacious & 2/3 side open vastu compliant flats having all modern facilities and amenities, superb connectivity, amazing view of natural water body and holy Ganges – think about PRATHAM. A lavish and spacious complex with excellent features and fitted with all modern facilities that you have wanted for your family from a long time. The project is located on B.T. Road, in the vicinity of Dunlop area and only 1.7 km. away from Dunlop crossing & upcoming Metro. The project has facilities like club house, children’s playing area, water amusement facilities, gymnasium, jogging track, community hall etc. to name a few. Impeccably manicured Green Grass Lawn, Trees and Flowers. Indoor Games Room with wide array of activities. Jogging track surrounding natural water body. Deck overlooking natural pond providing an area to unwind. Ganges viewing gallery from higher floors . Closed Circuit T.V. in common area, with Central Security Surveillance. All the important points duly manned by well trained security personnel / guards. Standby generator for common areas, services & apartments. Adequate Visitors Car parking facility. State of art firefighting equipment. In-house effluent treatment plant for disposal of all wastes generated within the complex. 2 Nos. High speed Lifts of 12 pax in each block with each tower Toshiba Lift ( OTIS or equivalent make ). Common toilets in ground floor. Facility management office with store. Walls: Ceramic tiles upto 7 ft.
Dhoot Group of Real estate Companies India started way back to 1962 in a truly entrepreneurial style by its visionary – Sh. Kedar Nath Dhoot- Our Inspiration Mentor, Dhoot Group. Nurtured over the years with hard work, determination and dedication bySh. Pawan Kr. Dhoot, the Group today has grown into a large business conglomerate with true pan India presence. Dhoot Group is through professionally managed organizations were in strategic and policy related decisions are made by poll and team of qualify professionals carry out day to day operations. Content provided by Dhoot Realtors. Info Edge (India) Ltd. disclaims all warranties against infringement.